Welcome home to Worthington, Ohio. 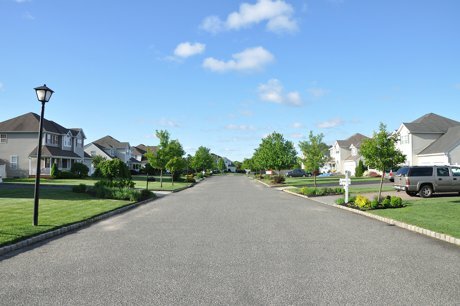 As one of Ohio’s first planned communities, Worthington was designed to have it all. Nature’s done its part and there is plenty for those who love the outdoors to keep busy. Stretching from Worthington to Columbus, the Olentangy Trail winds alongside the banks of the Olentangy River. Hikers and bikers spend time on the trail enjoying the outdoors. Trailheads in Whetstone Park and Antrim Park provide easy access. Sports and leisure activities are plentiful and offered by the Recreation and Parks Department. From basic swim lessons to competitive diving and swim teams, Worthington pools meet the community’s aquatic needs. Team sports opportunities vary from soccer, to baseball, to basketball. The social scene is in full swing on High Street. A variety of eateries and restaurants dot this piece of Worthington real estate. Locals often stop in Bubbles Juice & Tea for refreshment, and treat themselves with a goodie at Sassafras Bakery or Graeter’s Ice Cream. Glasses are raised in celebration and camaraderie at the Old Bag Of Nails Pub and the Pub Out Back. Preparation of farm to table meals is easy too when families shop the weekly farmers market. Considered the largest in Ohio, the Worthington Farmers Market represents dozens of vendors with fresh fruits, vegetables, nuts, meats and more. Properties for sale in this quaint community include condominiums, townhomes, and single family residences. Visit scenic neighborhoods and tour Worthington homes. There’s sure to be the perfect place to build a lifetime of memories. Contact Us to learn more about buying or selling real estate in Worthington, Ohio communities. Listing Courtesy of : David M Meyer ---- Sorrell & Company, Inc.